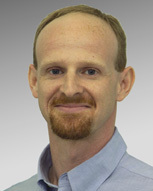 Gregory Spin is the Chief Executive Officer of Summit Nephrology Medical Group. Along with Drs. Bhat and Thornton, Dr. Spin founded Summit Nephrology in 2005. Dr. Spin did his clinical training at UC Davis Medical Center, completing his Medical Residency, a teaching year as Chief Resident, and his Nephrology Fellowship. He sees patients in the Summit Nephrology Lake of The Pines, and Grass Valley offices, and cares for patients primarily from Grass Valley , Auburn, and surrounding areas. Dr. Spin is active in his local community. He is the Medical Director of the Grass Valley Dialysis unit, and has served as Vice Chief of Staff at Sutter Auburn Faith Hospital, and on the Board of Trustees for the Live Oak Waldorf School in Meadow Vista. Dr. Spin lives in Nevada County with his wife (a Sutter Medical Group Family physician) and their two children. His hobbies include tennis, basketball, movies, singing, reading and spending all his remaining spare time driving his children to various sporting and social events. CEO, Summit Nephrology Medical Group Inc.